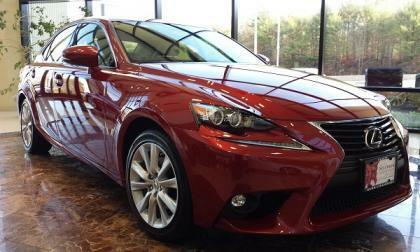 The IS 250 AWD sedan has a lot going for it. 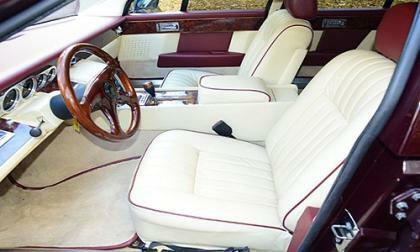 Here are the details on this very popular model. 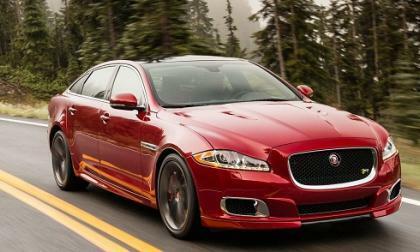 Looking to the future, Can Jaguar keep the excitement going? Over the past couple of years Jaguar has released some great new cars and the excitement has never been higher for the brand, but what are the consumers and so called experts saying about them? 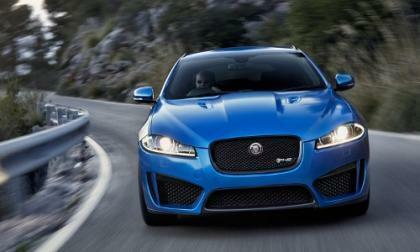 Read more about Looking to the future, Can Jaguar keep the excitement going? 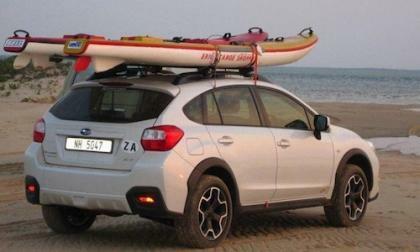 Subaru added new features on the new 2015 XV Crosstrek gas and hybrid models but only gets a small increase in price. How did they do it? Evel Knievel taking things to the extreme on many levels in life did no less in his personally owned vehicles. Recently hitting the market and coming available for sale is a one of a kind 1984 Aston Martin Lagonda owned by the legendary stunt man himself, Evel Knievel. An amazing piece of history that has hit the market will soon reside in a new home. 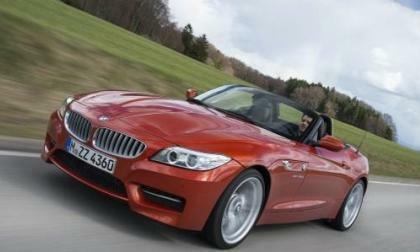 The BMW brand and specifically the Z4 sports car gets a very interesting award. Just how reliable is BMW? 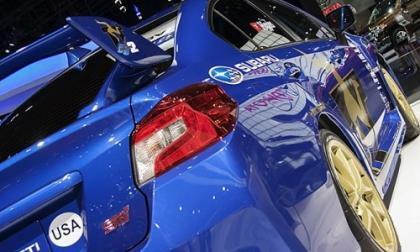 Subaru brought a very special 2015 WRX STI to the LA Auto Show. Do you remember what Mark Higgins did in this iconic STI? 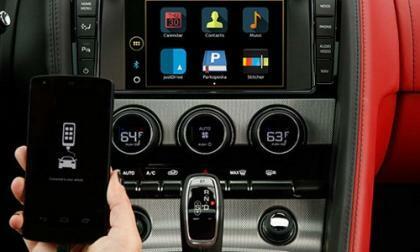 Full Smartphone Integration is the goal for Jaguar as they announced this week a new JustDrive technology that will allow you to run most smartphone apps by voice command while driving. 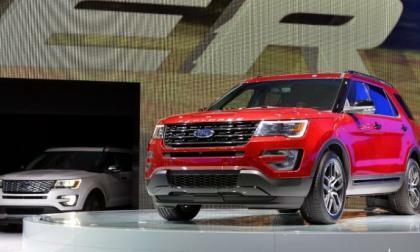 The 2016 Ford Explorer is on display now at the 2014 Los Angeles Auto Show with a sleek new exterior design, a new premium trimline and a new midrange engine in the form of the 2.3L EcoBoost 4-cylinder that is featured in the 2015 Ford Mustang. 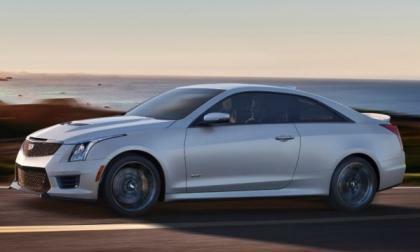 Last week we looked at the leaked images of the 2016 Cadillac ATS-V Coupe and with the start of the 2014 LA Auto Show, the full details for the new ATS-V in both coupe and sedan form have been rolled out in California. 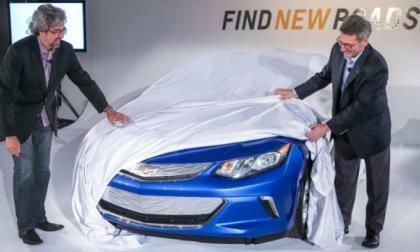 General Motors offered up a rear end teaser of the 2016 Chevrolet Volt back in August, but this newest teaser showing the front end of the next gen EV paints the portrait of a remarkable good looking vehicle – one that I cannot wait to see in person at the 2015 Detroit Auto Show debut. Until yesterday, all we knew about the next-generation Chevrolet Volt’s looks came from a teaser image of the liftgate of the car. 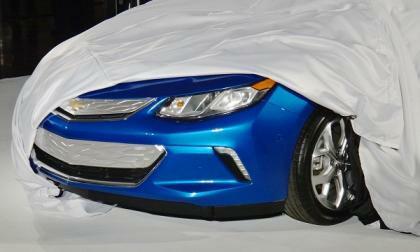 Los Angeles-area Volt owners got a full preview of the new Volt, plus a partial front-end view for the rest of us. 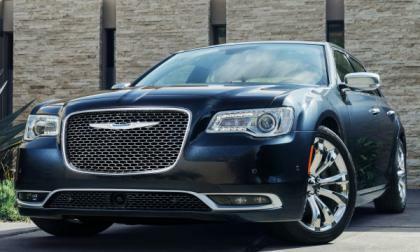 The 2015 Chrysler 300 is currently on display at the 2014 LA Auto Show with a revised exterior, an even more luxurious interior, a new 8-speed transmission, a variety of new high tech goodies and a new super-premium trimline, but what you won’t see in the 2015 300 lineup is a high performance SRT model – at least not in the United States, anyway. 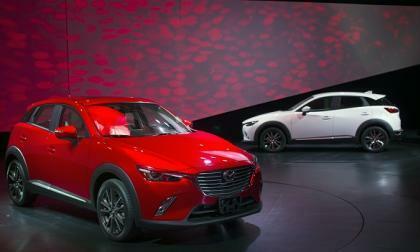 Mazda unveiled the new 2016 CX-3 compact crossover in LA and fans of the brand in the US market will be happy to hear about the engine it will get. 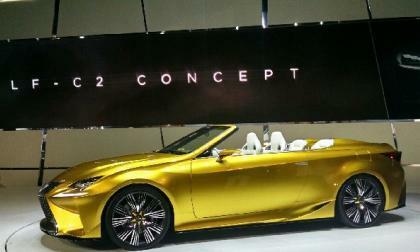 Lexus should switch the model name to RC 350C, but this Lexus convertible is clearly an updated IS 350C. 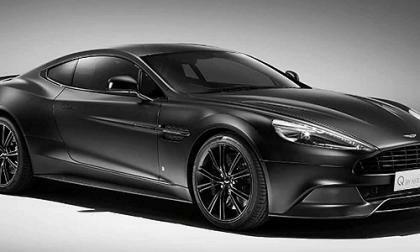 Q, the unique Aston Martin program that allows the buyer to personalize and create an Aston Martin that is truly yours in every sense, recently released images of a satin black 2015 Vanquish that is nothing less than a vision of stunning beauty and perfection. 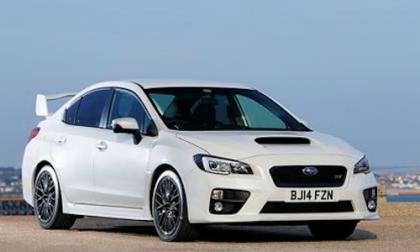 Performance fans who already bought a new 2015 Subaru WRX STI should feel very good about their purchase. Why is STI the best performance buy of 2015? Jaguar F-Type manual shift, but only in the V6? When the paddles shift car first began it was all the rage, but Jaguar just released the 2016 Jaguar F-Type with manual shift transmission, and most fans are jumping for joy. 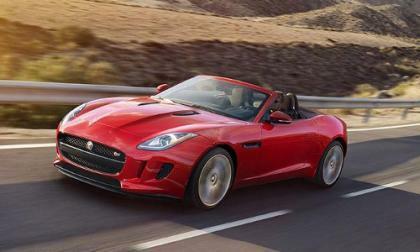 Read more about Jaguar F-Type manual shift, but only in the V6? 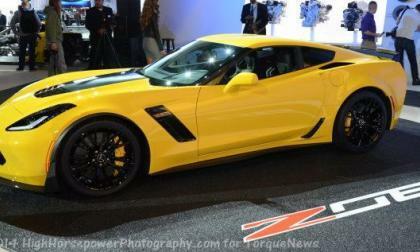 While the 2015 Chevrolet Corvette Z06 will land in the automotive history books for its breathtaking performance capabilities, the freshly announced fuel economy figures aren’t mind-blowing, but they are very impressive considering that this is the most track capable Corvette or all time. Toyota, Lexus and Acura make Daylight Savings simple. 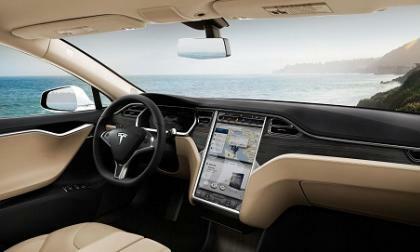 Why can't all the automakers be this smart? 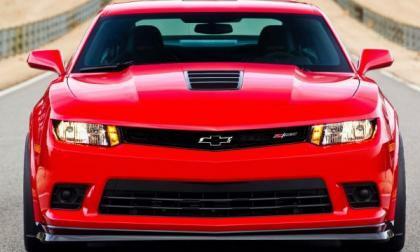 The Chevrolet Camaro Z/28 has been rightfully billed as the best handling American muscle car of all time, but with the introduction of the new Ford Shelby GT350 Mustang, the Z/28 could have a real battle on its hands in order to hold onto that title. 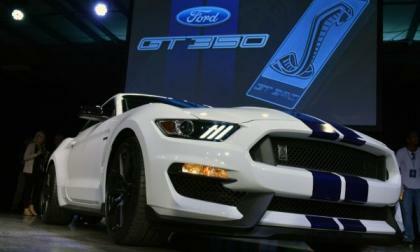 Ford Motor Company introduced the new Shelby GT350 Mustang with a video showing the newest super-Stang racing through a virtual world, but the automaker has also offered up some beautiful rolling footage of the new GT350 from every angle on a road course. 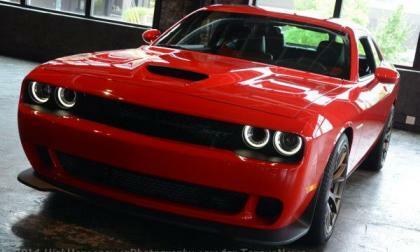 Famous funnyman and car collector Jay Leno recently took a wounded American solider for a ride in the 2015 Dodge Challenger SRT Hellcat and when the ride-and-drive was finished – Leno gave the 707hp Mopar muscle car to the young man who has faced so many health issues as result of a suicide bomber in Afghanistan. 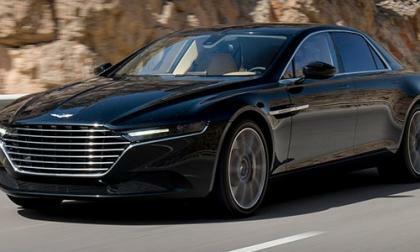 Upon officially making a public reveal in Dubai recently, the all- new 2015 Aston Martin Lagonda Tarif, is likely to be coming available to potential consumers beyond the Middle East. 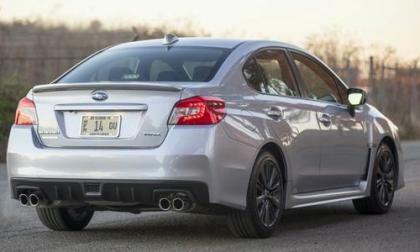 The 2015 Subaru WRX has been awarded ALG’s Residual Value Award. Why will WRX keep performance fans grinning for years? 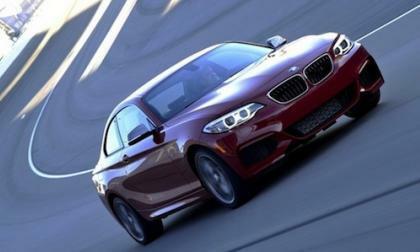 The 2015 BMW 2 Series has made 2015 AUTOMOBILE All-Stars list. Why will it cultivate a new crop of BMW fans? Whatever size or features you are seeking, the Jaguar XJ lineup has you covered and offers a finely tuned balance of driving exhilaration and refined luxury. 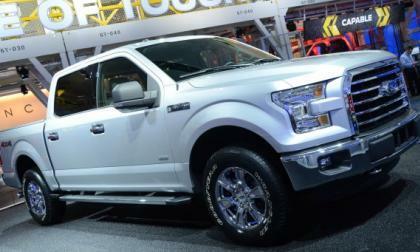 Neither Ford Motor Company nor the EPA have announced the official fuel economy numbers for the 2015 F150, but the folks at Motor Trend have announced their numbers from the first round of testing with the 2.7L EcoBoost and surprisingly, this new engine falls well short of the Ram 1500 EcoDiesel. 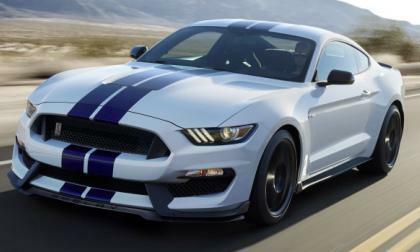 We know now that the Ford Shelby GT350 Mustang will be powered by a new 5.2L flat plane V8, but iI have realized that many people do not understand what makes a flat plane V8 different from any other Mustang engine, I thought that this would be a great time to explain what makes this new Shelby V8 special. 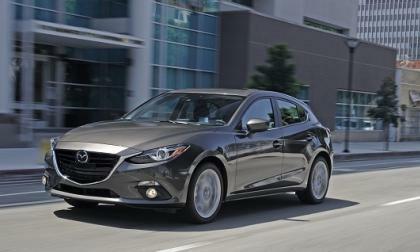 Mazda has now won the ALG residual value award back to back for its popular Mazda3. Its success is no accident. 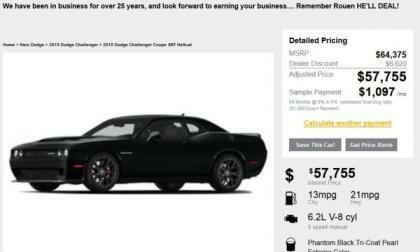 The first examples of the 2015 Dodge Challenger SRT Hellcat are reaching dealerships around the country and one such dealer in northern Ohio is clearly looking to move their 707hp Challenger in a hurry, as they are advertising it online with a discounted price of just $57,755 – almost 7 grand less than MSRP.